Hair styling products that protect hair from the damage of heat styling tools and lock in shine and smoothness for a long-lasting finish. Discover the full collection of heat protectant products. Hair Color Protecting Gel-Cream for heat protection up to 450 degrees, high shine and silky smooth results. 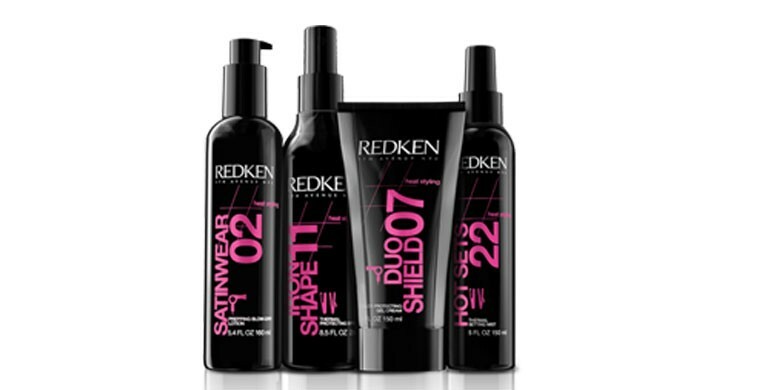 Heat protectant for color treated hair nourishes and repairs adding body and shape to all hair types. Combines a nourishing cream and repairing gel to add body and shape with medium control for all hair types. This unique combination also protects hair from hot tools up to 450 degrees and haircolor vibrancy. Heat protection hair spray protects hair from heat up to 450 degrees. Perfect for use with flat irons and curling irons; will not build up on tools.